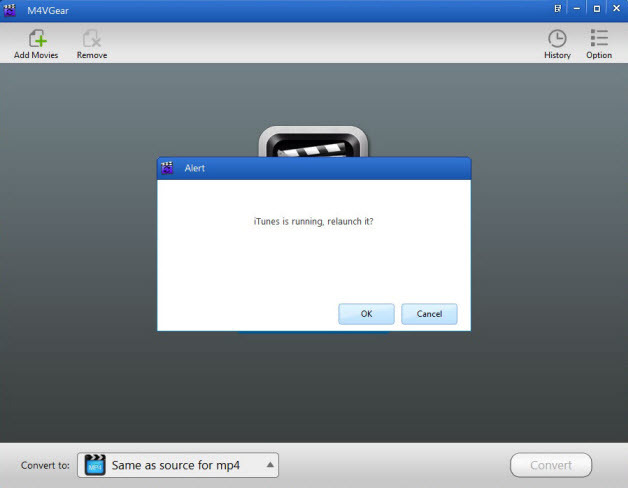 Note: M4VGear DRM Media Converter also supports the latest iTunes 12.9 perfectly. But, do not overly worry about the problem. Because the developer for M4VGear has been working on a new version to solve the problem and the new version will be released soon. Our support team will inform the customers who had the problem and sent emails to us of the releasing. For those who do not send emails, please check for updates in later days. Before the new version comes out, please follow the below tutorial to completely remove iTunes 12.1 from your computer and install version 12.0.1 of iTunes to get M4VGear for Windows work. Open Control Panel and click "Uninstall a program" in the Programs section. Find the five components of iTunes 12.1 in the below image and uninstall all of them. 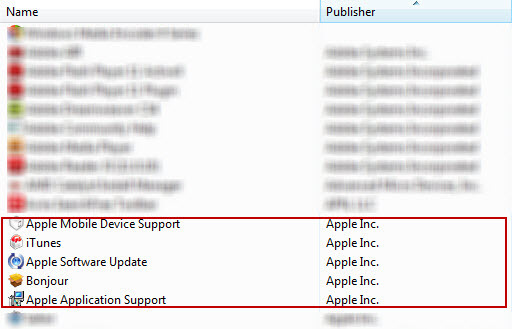 The five components are: Apple Application Support, Apple Software Update, Apple Mobile Device Support, iTunes and Bonjour. If you are running on 64bits of Windows, you may find you have different iTunes components as the following image shows. Then please uninstall Apple Application Support(64-bit), Apple Application Support(32-bit), Apple Mobile Device Support, Bonjour, Apple Software Update and iTunes. If the above solution cannot solve your problem, please provide the below information to our support team support@m4vgear.com. We will submit your information to our developer and inform you if the new version is available.